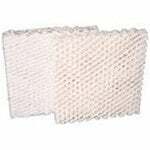 The Holmes HWF100 Humidifier Replacement Filter 3-pack is a set of humidifier filter replacements that feature Microban technology for built-in protection against the growth of bacteria, mold, and mildew that cause bad odors and stains. 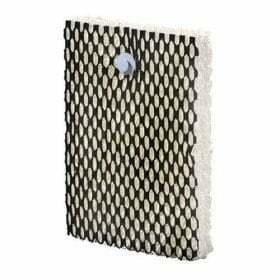 The HWF100 filter also features Arm & Hammer baking soda that naturally deodorizes the air by absorbing and eliminating odors from garbage, bathrooms, pets, litter boxes, smoke, and cooking. 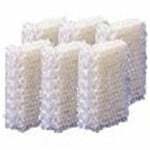 This Holmes humidifier filter is also known as the Holmes HWF-100 Wick Humidifier Filter and part number HWF100UC2. Size: 7.5" x 5.5" x 1.25"
Please note: The HM7204 requires 2 Filters; the HM7305/7305RC requires 3 Filters; the HM630, 6000, 6000RC, 6005, and 6600 require 2 Filters; and the HM4600 requires 6 Filters.